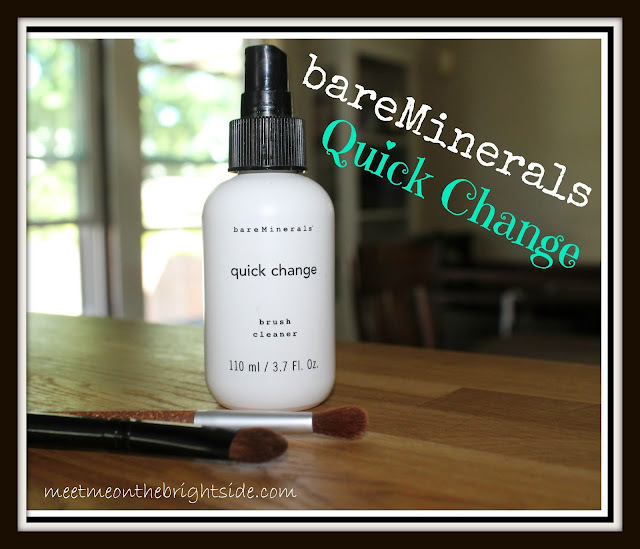 One of my favorite time saving products as of late, is bareMinerals Quick Change Brush Cleaner. I am all about keeping my brushes, makeup, tools, etc., as clean and sanitary as possible, but it drives me nuts shampooing close to 50 ( I might be exaggerating) makeup brushes once a week. I know that once a week seems like a lot. 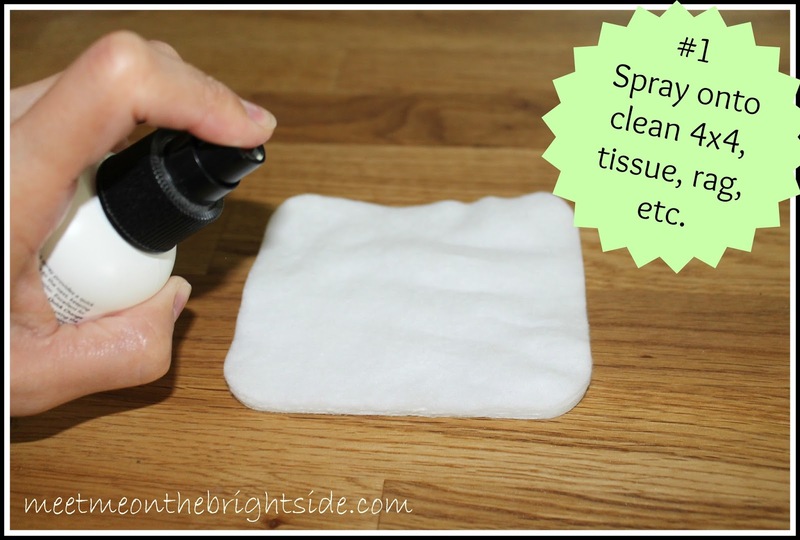 If you are only using them on yourself there's not much of a need to clean them that frequently. However, I feel like I don't get the best color pay off when there's already 3 different colors from yesterday's look still on the brush. 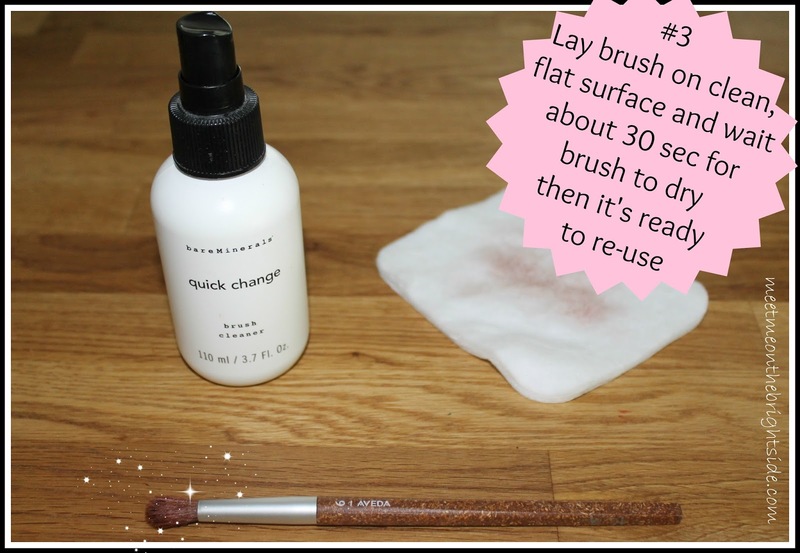 I also like to spray my brushes with Fix+ from time to time and I am certain it builds up on bristles. It's that easy and fast! Now I can go so much longer between shampooing my brushes. It's only $18.00 and lasts forever! It does have alcohol as an ingredient so there is an upside to that, as well as a down side. It will provide some amount of sanitation with the alcohol killing bacteria, but it can dry put bristles. 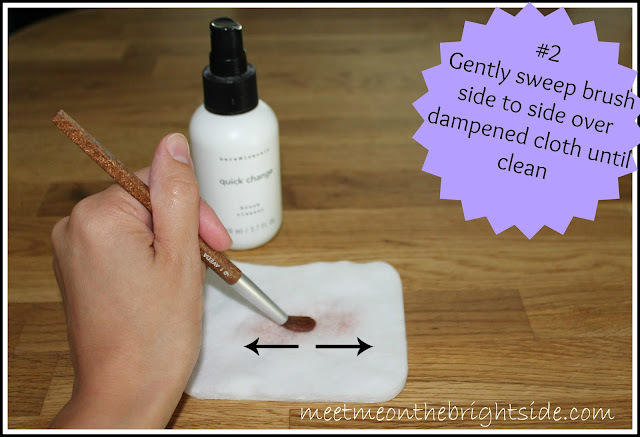 to help protect your brushes just make sure to still wash them every so often with baby shampoo and water or a brush shampoo. Disclosure: Not a sponsored post. I bought this with my own money. Love this post :) Cleaning my brushes makes me feel so clean and healthy!